Whenever we speak of healthy diets, salads make it to the top of the list. 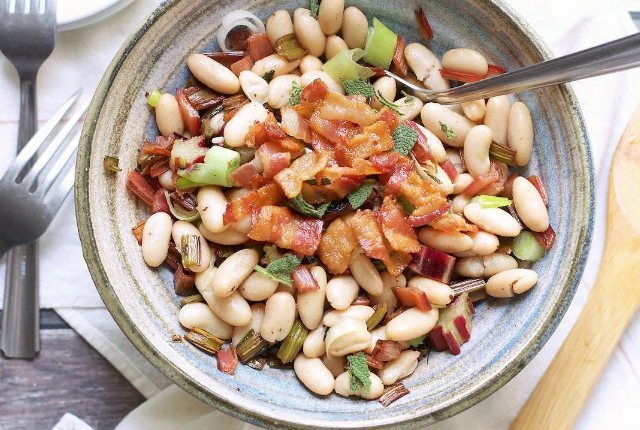 It is not only easy to make, it provides a perfectly healthy meal that gives a solid boost to your everyday diet. Whether you opt for store bought salad or make one at home, it is one of the most important eating habits that you need to inculcate for a fitter life. 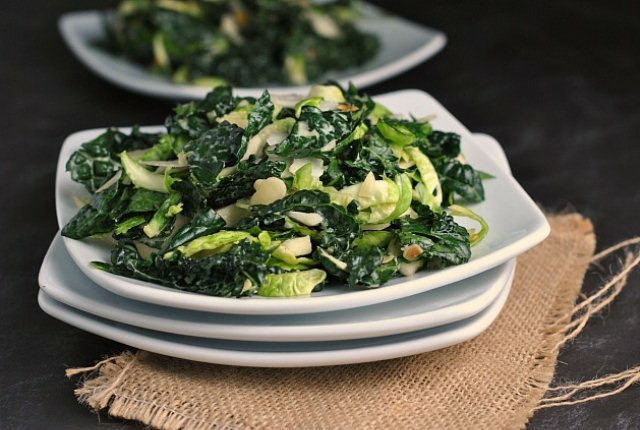 Even if you are not a regular cook, salads can be tossed up in a minute or two with a supply of a few fresh vegetables, greens or fruits and a light salad dressing. 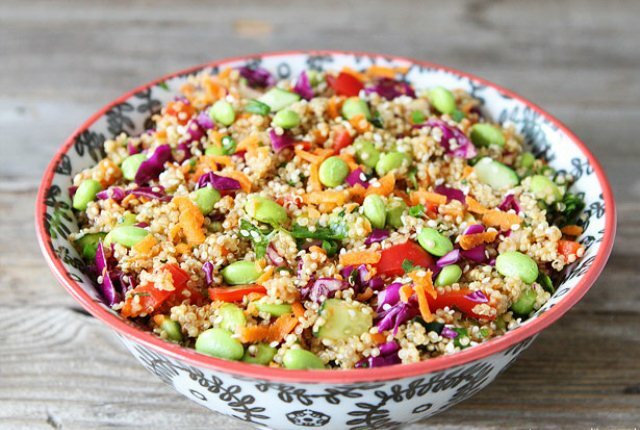 If you are running out of ideas, here are 5 simply amazing healthy vegetarian salad recipes that you can try at home. Cut the veggies into small pieces and wash it properly. To prepare the dressing for the salad, mix all the ingredients together in a bowl and use a whisk to combine all the ingredients. If it appears very thick, add a little water to adjust its consistency. Shave the Parmesan cheese and cut the almonds into thin slivers. 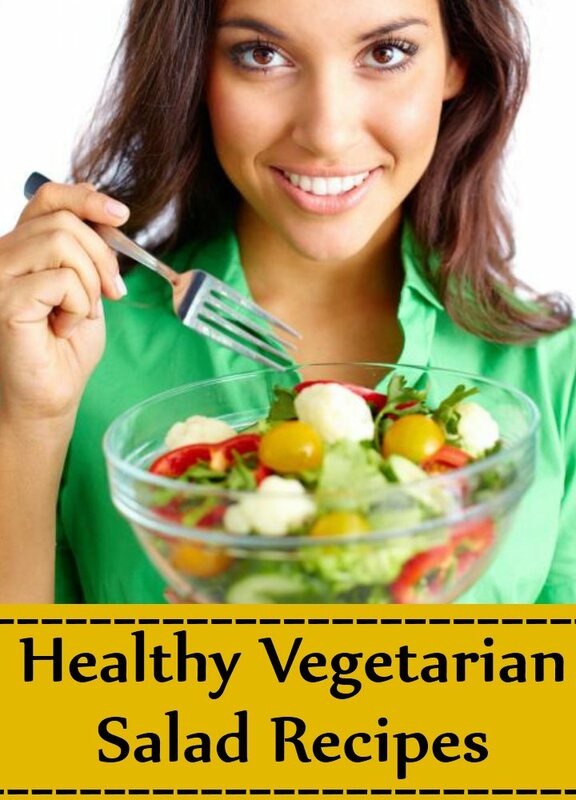 Toss the vegetables with the salad dressing in a bowl. Sprinkle the almonds on top and spread the Parmesan cheese over it. Your healthy salad is ready to be served. Chop the cucumber, tomato and onion into small cubes. Add freshly chopped parsley, dill or mint leaves to the vegetables. 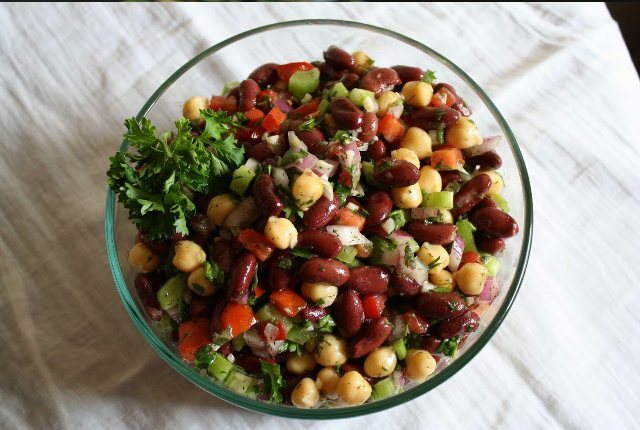 Drain the excess liquid from the cooked kidney beans and chickpeas. Mix it with the vegetables toss well. For the dressing, crush the garlic and mix it with the olive oil and lemon juice. Season it with some salt and crushed red pepper. Mix very well until the dressing emulsifies. Pour it over the vegetables and a scrumptious Lebanese style salad is ready to eat. Clean and wash the spinach leaves properly before chopping it into small pieces. Cut small pieces of pineapple, strawberry and avocado. Dice the onion and shave the Parmesan cheese. Combine the all the ingredients in a big salad bowl. For the dressing, mix all the ingredients in a jar with a lid. Shake very well until it forms an emulsified liquid dressing. Pour the salad dressing over the chopped fruits and vegetables and toss well. 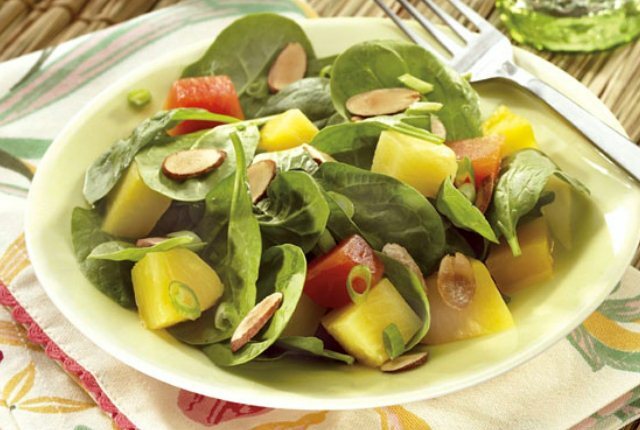 Delicious tropical salad is now ready to be served. In a saucepan add water and quinoa. Let it come to a boil and cook for 5 minutes. Reduce the flame and let it simmer on low heat for 10 to 15 minutes until the quinoa absorbs all the water. Allow it to cool down slightly and then fluff it with a fork. Keep the chopped vegetables in a large salad bowl. Add the cooled quinoa. To prepare the dressing, combine all the ingredients and mix very well. Pour it over the quinoa and vegetables. Toss well and the Asian Salad is ready. To prepare the warm salad, heat 3/4 cup water in a sauce pan. Add the beans along with parsley, salt, black pepper, lemon juice and zest. Cover and cook for 5 minutes. Then add the chopped Swiss chard. Let it cook for another 5 minutes, until tender. Sprinkle cheese on top and serve warm.